Of all of the cities I’ve traveled to, Arequipa has got to be the most underrated. Peru’s second-largest city is known as La Ciudad Blanca — the white city — because so many of its monumental buildings and churches are carved out of sillar, a ghostly white volcanic rock. 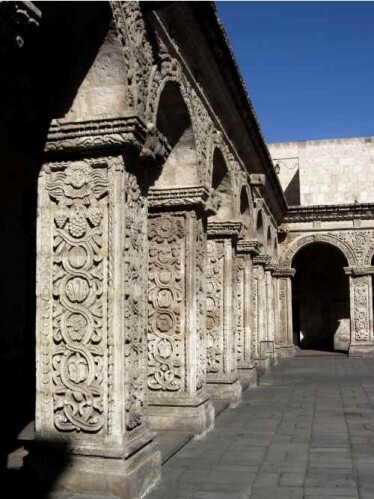 (Arequipa lies at the foot of El Misti, a volcano that was described to me as “currently inactive.”) The city is famous for two attractions: Juanita, the Inca maiden who has become the world’s most famous human sacrifice, and the Monasterio Santa Catalina, a historic city within the city. Otherwise, Arequipa is generally regarded as the starting point for excursions to the Colca Canyon or the Cotahuasi Canyon. That’s too bad, because Arequipa is a wonder that deserves to be explored. 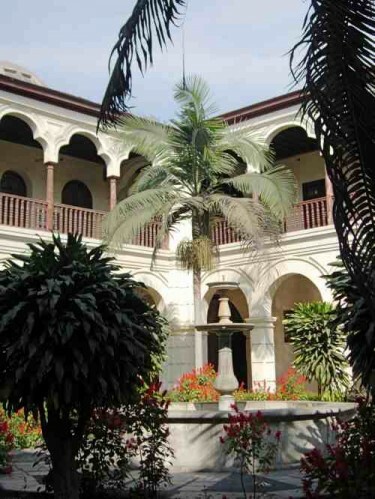 Its obvious treasures are plentiful, but the city also has a wealth of hidden gems, like the courtyard behind the Jesuit church, which is easy to miss (given that the church itself is filled with art treasures and valuable artifacts). It’s also a city that deserves to be known for its fine food. On my last night there, I dined at Zig Zag. Finding an Alpine restaurant in Peru seemed a little incongruous, but its mission — blending the culinary techniques of the Alps and the Andes with ingredients from all over Peru — works very well. Zig Zag gets a mention in several guidebooks for its antique iron staircase, which was designed by Gustave Alexandre Eiffel (yes, as in that famous Parisian tower), but it also deserves notice for its cooking. At heart, it is startlingly simple: meats such as ostrich, alpaca, and beef, are served atop a sizzling hot stone, which cooks the meat to medium-rareness but leaves it tender and juicy. The quinoa-and-vegetable soup I had was also terrific, even if I did have to argue with the serving staff to get it (they took my celiac disease card so seriously that they decided I couldn’t have any grains at all, until I explained otherwise in my rusty Spanish). It made for a memorable meal in an elegant city full of surprises. Never be shy about asking for help: There are so many groups and individuals who are ready — even eager — to help navigate the gluten minefield that travelers face. Before going to a new city or country, locate a celiac awareness group for the area (you’ll find them via Clan Thompson’s Celiac Site and the Association of European Coeliac Societies). Even if the information they have on their website isn’t in your language, e-mail them for advice. If they can, they will help you out. Trust, but verify: Asking whether a dish has gluten in it is is sometimes not enough. Restaurant staff might forget — or not realize — that a dish has a little flour in it. I’ve run into this problem at home in New York as well as on the road. When in doubt, I ask the staff to tell me what ingredients are in the dish. At one very swanky French bistro in Manhattan, the restaurant manager was stunned when the chef told her that there was wheat flour in almost everything. That same manager had assured me that most of their dishes were safe for me just a few minutes earlier. Always have celiac information cards handy: I know that people have different preferences as to which cards to use (there are several free options, which you can read about in this post; I like the ones from Celiac Travel). These make travel so much easier — and safer — for celiacs. Be sure to print extra cards, since some invariably get stained or destroyed as you travel. Having extras means you can hand them out to other travelers, too. When I was at a remote lodge in Peru’s Colca Canyon, I met a woman from South Africa whose sister has celiac disease, and she was thrilled to be able to take the card (and the name of the site it was from) back to her. Have a backup plan: Travel is all about the spirit of adventure — trying new things, discovering new tastes, seeing places you dreamed about. Having celiac disease doesn’t bar you from any of that, but it means you always need to keep the worst-case scenario in mind, because you may find yourself stuck in transit with no gluten-free options available to you. This happened to me on the train from Machu Picchu to Cusco. It was a four-hour ride after a long day of exploring (I’d gotten up before dawn so I could watch the sun rise over Machu Picchu). There was food available for sale on the train — a choice of sandwiches. Fortunately I had gluten-free protein bars and trail mix to tide me over. Please keep your gluten-free tips and reports coming. I’m excited to see what the next year will bring. Of all the places I’ve visited, Machu Picchu is probably the one that fascinates me the most. It was an incredible thrill to see the lost city of the Inca (even if, according to some accounts, the place was never really “lost”). 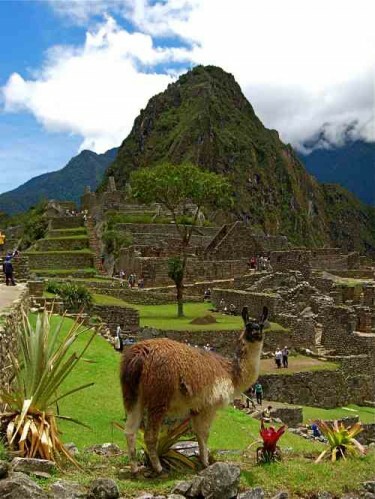 In any case, Spanish conquistadors never found it, so its massive stone walls and structures were left for centuries mostly to the llamas and other creatures who roam there. 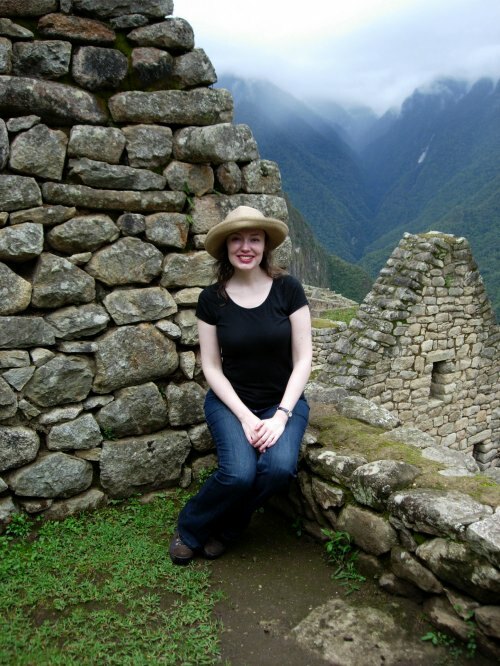 One of the trickiest things about Machu Picchu is finding a place to stay. (Tourists who take the Orient Express train there and back in the same day don’t have to worry about this, but they usually end up with less than four hours to explore one of the most incredible sites on the planet). The Orient Express-owned Sanctuary Lodge, just outside the gates of Machu Picchu’s tourist entryway, is the most famous option (it’s one of the most expensive hotels in the world). At the base of the mountain is the town of Aguas Calientes, which hardly existed a decade ago; now it’s a collection of hostels and trinket shops that cater to travelers. And then there’s the Inkaterra Machu Picchu. Inkaterra is an ecologically aware Peruvian company that operates three resorts. Its outpost at Machu Picchu is on the site of a former tea plantation at the foot of the mountain. The 85 cottages stand on 12 acres that overlook the Vilacanota river. The grounds include a top-notch spa (which my muscles were glad to find after hiking up and down Machu Picchu’s stone staircases), and an animal sanctuary that features almost 200 types of birds… and two Spectacled Bears (a species of bear that is native to South America). The Inkaterra also features a gorgeous dining room. I’d let the staff know that I have celiac disease when I made the reservation, and they were incredibly accommodating — but the nicest surprise was that much of the restaurant’s menu is naturally gluten-free. For dinner that night I started with an appetizer of corn, olives, beans and cheese, followed by an alpaca steak with a gooseberry sauce and baked potato. In keeping with Inkaterra’s ecological commitment, most of the ingredients are from local farms; some are grown on the resort’s own property. The meal marked the end of one of the most fascinating days of any trip I’ve taken. My trip to Peru last fall wasn’t planned as a gastronomic tour, but that’s what it turned into. From Cusco to Arequipa to Lima, some of the best meals I’ve tasted were on that trip. Peru’s culinary scene is a true melting pot of cultures, and that rich heritage is enhanced by the fact that almost any ingredient you could want grows in this country. There was one foodie destination on my trip checklist, though: I wanted to dine at Astrid y Gaston. I’d first heard of chef Gastón Acurio on a prior trip to South America, and I’d read a lot about him. In addition to his restaurants in Lima, Bogota, Caracas, Panama, Quito, Santiago and Madrid, Acurio has his own cooking show and is a popular media personality. I expected to be impressed with his restaurant, Astrid y Gaston, in the elegant Miraflores neighborhood, and it lived up to its advance billing. Located on a tiny street that runs off the crowded Parque Miraflores (where there are frequent open-air concerts, and where the beautiful church Parroquia la Virgen Milagrosa sits on the eastern edge), Astrid y Gaston was an intriguing combination of formality and irreverence. The setting — an old colonial mansion — is stunning, the service is impeccable, and the atmosphere is lively and warm. The waiter who served my table spoke fluent English, but using a Spanish-language celiac card made it easier to explain my dietary restrictions. After a conference in the kitchen, I was told that about half the items on the relatively long menu were naturally gluten-free, and that several others could be modified to be so. I started with ceviche, the classic Peruvian dish of raw seafood marinated in lime juice. I’d been trepidatious about trying this dish earlier on my trip — eating uncooked seafood is normally too big a risk when you want to stay healthy — but the dish I had at Astrid y Gaston was perfect (and perfectly healthy). My main course — a spicy tuna steak with a hint of sweetness mixed in — was just as satisfying. I don’t know if the other outposts of Gaston y Astrid are as celiac-friendly as the one in Lima, and I’d love to hear from readers who have tried them. This month, Gastón Acurio is opening a restaurant in San Francisco — La Mar Cebicheria Peruana at the Embarcadero’s Pier 1.5 — and I can’t wait to try it on my next visit. 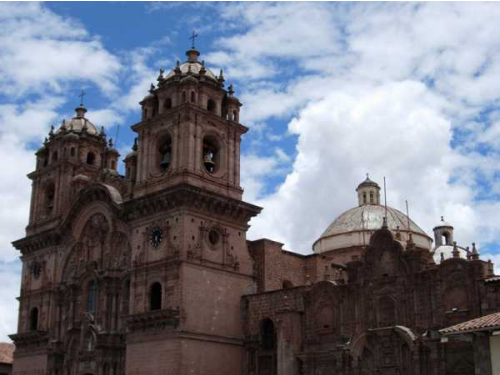 Just after I arrived in Cusco — Peru’s third-largest city, and the jumping-off point for any trip to Machu Picchu — I toured the city’s massive cathedral. It’s not only a religious institution; it’s also a fine museum that showcases some 300 paintings. 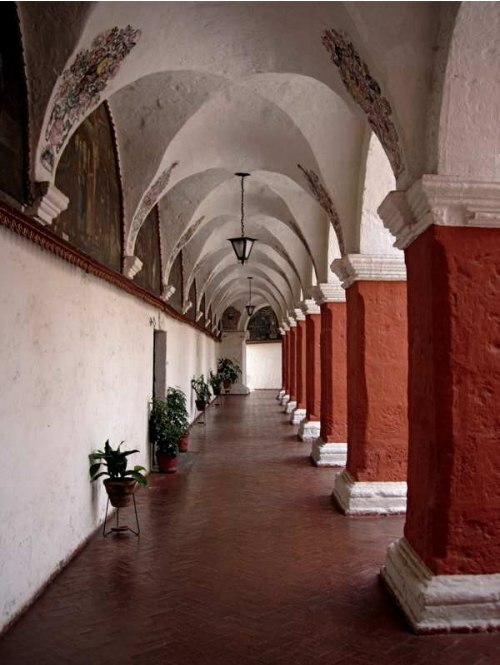 The works are mostly by the Cusco School (or Cuzco School) of the 17th and 18th centuries, which had European painters come to Cusco — once the capital of the Inca Empire — to teach local artists to paint in the European style. The results were beautiful, beatific, and occasionally bizarre. 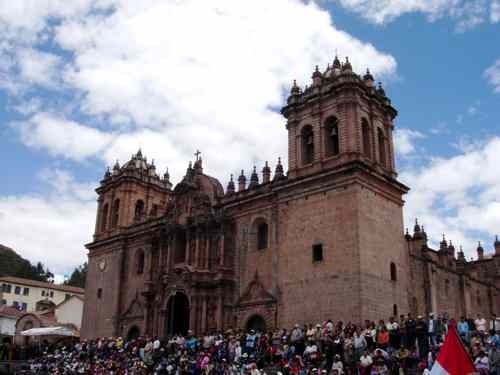 The indigenous artists converted to Catholicism, but they retained certain Inca ideas. For example, depicting Jesus in a loincloth was profoundly disrespectful in their eyes, so Jesus wears the knee-length linen skirt of the Inca nobility in scenes of the crucifixion. But the most famous departure from European tradition is in the rendering of the Last Supper. Forget Leonardo da Vinci: this version depicts Jesus and his disciples gathered around a table to enjoy a last supper of… guinea pig. If you haven’t visited South America, it may come as a shock that a mammal North Americans take for a family pet is considered a delicacy (it’s called cuy in these parts). By the end of my week in Cusco, I was ready to give it a try. I finally had it at the MAP Café, the restaurant at Cusco’s Museum of Pre-Columbian Art (an offshoot of the renowned Larco Museum in Lima). The restaurant is one of the most extravagant and exceptional in the city, and its setting is unique — it’s essentially a glass box in an interior courtyard, surrounded by archways through which diners can catch glimpses of ancient art. What impressed me most about the MAP Café was the service. When I showed the waiter my Spanish celiac disease card, he got the other staff members together so that everyone who would be working with my table would be aware of my gluten-free diet. The kitchen had a few questions about ingredients that weren’t mentioned on the card, including quinoa. I started with a dish that paired thinly sliced grilled alpaca with anchovies, followed by cuy confit with peanut-and-panca-flavored potatoes (panca is a type of Peruvian pepper, not to be confused with panko — Japanese breadcrumbs — which aren’t gluten-free). Cuy turned out to be an incredibly rich, strongly flavored meat (it doesn’t taste anything like chicken). For dessert, I had sautéed strawberries in a purple corn sauce, served with a corn-infused ice cream. It was an incredible gluten-free meal from start to finish, and while it was expensive compared to my other meals in Cusco, the three-course prix fixe menu included a glass of wine and cost only $35. Best of all, I had a fine introduction to just how appealing cuy could be. When you have celiac disease, one of the toughest things about travel is finding the stamina to dine out day after day. At home, going to a restaurant can feel like a luxury, particularly when you’re confident that the staff will take care of your needs. It’s tough to find places like that when you’re on the road and you need to explain your dietary restrictions before every breakfast, lunch, and dinner. Before I went to Peru last fall I spent hours researching restaurants that could prepare gluten-free meals. I couldn’t find a single place mentioned in a guidebook or online. When I got on my flight to Peru (which you can read about here), I was nervous about what I would be surviving on for the next three weeks. It turned out that I had nothing to worry about. This was partly because the traditional Andean diet is based on three staples — corn, potatoes, and quinoa — that are all celiac-safe. More importantly, I found that the Peruvian people were incredibly kind and took painstaking care of me, sometimes checking ingredients three or four times before bringing my main course to the table. This wasn’t only true of the more expensive restaurants, but in the most casual eateries. A perfect example of this is the Moni Café-Restaurant in Cusco, the city that every traveler passes through on the way to Machu Picchu. Moni is an unpretentious, inexpensive spot that’s well away from the tourist crowds in the historic Plaza de Armas, and its specialty is vegetarian cooking. The recipes are very simple (my starter was a pumpkin soup made only with pumpkin, garlic, and cream) but the food is incredibly delicious. My main course involved all of the Andean staples: called the Sacred Valley Curry, it was a combination of giant-sized corn kernels with potato and quinoa in a tomato-and-onion sauce. The staff was incredibly kind and helpful… so much so that I went back for another meal later in the week. That’s the thing about finding a restaurant you feel confident about while you’re on the road — it makes you feel right at home. On March 30th, 2008, traveling between the United States and Europe may get easier… or at least more competitive. That’s the day that the new transatlantic flight pact (commonly known as “open skies”) goes into effect, allowing airlines to fly between any two airports in the regions. In the past, a British Airways flight en route to New York had to originate in the UK. Now, it could originate in Paris or Prague. Open skies is being hailed as a significant change in the travel industry — though charges to compensate for increasing fuel prices may mean that the price of a ticket won’t drop that much. I know that no one chooses an airline based on its willingness to offer gluten-free meals, but if the amount of competition for your travel dollars increases, this is an issue to keep in mind. When I flew to Lima, Peru, last fall on American Airlines, I was dismayed to discover that there was no gluten-free meal for me on the flight there or back. Both my husband and I had called American to confirm the request, and I’d even mentioned it to the gate agent in New York; she checked and found it in the system. However, once I was on the plane, the flight attendant informed me that no gluten-free meals were available on the flight, period. This was because American Airlines had defined it as a “short” international flight, since it lasted only six hours (I had flown on American from New York to Miami, where I caught my connecting flight to Lima). The flight attendant was as helpful as she could be — she got me three mini-salads, which were naturally gluten-free — but there wasn’t much to be done (this is why I always have a celiac-safe protein bar in my bag). I just checked with American Airlines, and they are offering gluten-free meals on all of their flights to Europe. This makes sense, since the competition is about to get stiffer. But, in case you’re flying to Peru anytime soon, take note — there are still no gluten-free meals on American’s flights to Lima, but there are on LAN’s. I’m wary of Trip Advisor. Praise is often overstated and criticism can be downright nasty. I know from reader responses to my guidebooks that some people have funny ideas about what makes an establishment lovely or loathsome. (One man wrote to me, demanding that I remove a restaurant from Frommer’s Toronto. The reason? He’d picked up a “bad vibe” from a waitress there.) Still, Trip Advisor can be a valuable guide. It led me to Casa Arequipa, after all. Arequipa is Peru’s second-largest city, a monumental wonder carved out of sillar, a ghostly white volcanic rock (the city lies at the foot of El Misti, a volcano best described as “currently inactive”). It’s known as La Ciudad Blanca — the white city. For all of its beauty, Arequipa is probably the most overlooked inhabited spot in Peru: the standard tourist itinerary allows a day at most to visit the city’s two top attractions: the Universidad Catolica de Santa Maria, home to the world’s most famous human sacrifice (Juanita, the Inca maiden whose well-preserved body was found in a frozen crevice of Mount Ampato), and the Monasterio Santa Catalina (the photograph above shows one of its cloisters). After taking in these sights, people decamp to the Colca Canyon or the Cotahuasi Canyon. I spent four days in Arequipa in November, and I wish I’d had longer. My charming casa-away-from-home was a big part of the reason why. Casa Arequipa bills itself as a boutique bed and breakfast, and with only seven rooms in a renovated colonial mansion, the staff is devoted to caring for each guest. Breakfast is included in the rates, and it’s no buffet brush-off; meals are individually prepared. When I explained my dietary concerns to the staff, they responded with delicious omelettes, fresh ham and cheese, and fruit plates. They also surprised me with their thoughtfulness: one staff member called my next hotel to explain celiac disease to the staff there. Another staff member talked to the tour operator for my Colca Canyon trip, to make sure that I’d be able to eat at the restaurants we’d be stopping at on the way in and out. Casa Arequipa has other charms, too: the rooms are decorated with antiques and decked out with modern amenities; the staff acts as your own private concierge service, making reservations for tours, meals, and spa treatments; and the casa is located in Vallecito, an upscale neighborhood that’s a 10-minute walk (or two-minute cab ride) to the Plaza de Armas, the historic town square. One more thing: Casa Arequipa’s owner divides his time between Arequipa and Washington, D.C., where he operates a restaurant called Las Canteras. I haven’t checked it out yet – and I have no idea whether it will be as amenable to requests for gluten-free meals as the Casa Arequipa – but I’ll definitely be visiting it the next time I’m in D.C.